Take a moment to study the menu in the Gaming Hut, as we contrast the operations of prix fixe and a la carte character improvement RPG designs. Watch us cut the ribbon on our brand new Abandoned Idea Clearinghouse, in which we look at creative ideas we decided not to pursue and why we set them aside. In Ask Ken and Robin, we don our therapeutic coats to help listener Martin Rundkvist through a crisis of verisimilitude brought on by his humanities degree. Finally we enter the Eliptony Hut to probe deeply into the 1973 Pascagoula UFO abduction. Slabtown Games moves into the anchor sponsor slot as it continues to tease the upcoming Kickstarter for Storyscape, a tablet-based tabletop roleplaying game Robin is currently designing for them. 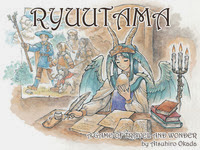 Kotadama Heavy Industries invites you to explore Ryuutama: The Natural Fantasy RPG, translated by Matt Sanchez & Andy Kitkowski. Satisfy your yearning for travel and exploration by jumping aboard their successful Kickstarter campaign. This entry was posted on November 29th, 2013 at 8:30 am and is filed under Podcast. You can follow any responses to this entry through the RSS 2.0 feed. You can leave a response, or trackback from your own site. I do worry a bit about the selling point of ‘putting stuff under the hood’ and about the possibility of putting things where the tinkering hands of the hobbyist GM (and hobbyist players) can’t get at them. If you go for a more exclusively ‘prix fixe’ (and I kept hearing that as ‘Prefix: A’ btw: you need to work on your terminology) approach you may make access easier but make the game a less useful tool for people who (after all) want to tell their own stories and run their own games with it. A sort of case in point is a problem I continue to have with the GURPS CHARACTER ASSISTANT program. 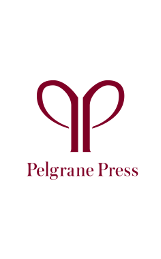 It’s great for generating characters and many noble hobbyist GURPS users produce data packages for the titles the SJG publish. 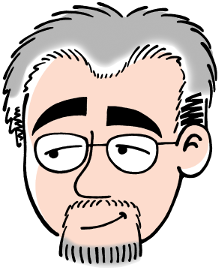 But if I wanted to modify those packages or even produce some new ones of my own… I would have to learn a lot more about programming and spend a lot more time typing up complicated lists by entering them into text files than I have energy for especially at my age. If you will take my advice, the even more important stage before you write the nice player-and-GM-at-the-table facing software is to write the GM-Setting-Up-The-Campaign software and make it usable by people who don’t dream in C++. We’re shooting for a “best of both worlds” system, where the casual player can have everything neatly hidden away underneath the sleek fairing, but the tinkerer can open up all sorts of access hatches and deck plates to go mess with subsystems. And all of those hatches and plates lead to easy-to-understand sub-interfaces… nothing leads to a place where you have to grok programming. We’re shooting for something that feels a little like the iPad interface, where you never have to go mess with the Settings, but if you want to do so, it’s still plain English and simple knobs and switches, rather than opaque and terrifying “Input code here” fields. We want ease of use for everyone, not just the players. Is prix fixé, as opposed to prix fixe, what one says in Canada? If so it’s a bit like baccalauréat which in English is spelt baccalaureate. My inability to pronounce French words is a personal failing that should not be ascribed to all Canadians. I’ve had the Night Hag, three times in one night. There was an old woman sitting on my chest and holding me down. I was able to dispel her by rocking from side to side until the paralysis left me. It was scary even though I knew what was going on. The Fourth Kind whilst ultimately disappointing, and morally dubious, has a great depiction of alien abduction. I’ve had it plenty when I was a kid, but never with any visual or sensorial hallucinations—is that weird? I’m not sure I saw the old woman. I just knew she was there. And she was making a hissing sound. I got it quite a bit during my early to mid 20s, certainly at least four or five times I can remember. The trick was, similar to what you found, turning my shoulders to one side or the other. Getting to that point was difficult, of course. I never had any visual components, although the time the paralysis was accompanied by a hellish roaring on all sides of my bed struck me as relatively spectacular. The podcast episode titles just keep getting better. I am greatly looking forward to seeing Storyscape, as I’m someone who is adverse to having to do all the math and track all the conditions and encumbrance and difficult terrain etc. etc. etc. I just want to play a game as immersively as possible, and I often find dealing with the crunchy bits at a character level gets in the way. I think there is huge potential for tablet-based gaming, and to have Robin involved in such a pioneering effort gives me great confidence in the final product. I enjoyed your Listener Question to the guy who can’t enjoy campaign settings that contradict his higher learning. Reminds me of reporters talking to NASA scientists about the movie Gravity. It’s obvious the professional fact checkers with a little science education were pretty annoyed with the movie. The NASA guys, whom I bet are all scifi geeks, seemed to love the movie and didn’t let their gripes get in the way of their childhood passion. 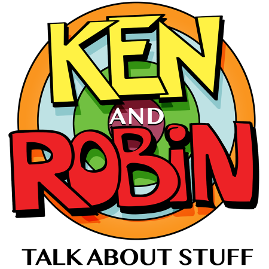 Here’s an Ask Ken and Robin (mostly Ken) that I’ve been meaning to ask for a few weeks. During the discussion of the d20 Cthulhu project, Ken, you said something to the effect of “to the degree that d20 and Cthulhu games aren’t completely incompatible, anyway.” What do you see about the d20 structure that makes it a bad fit for Lovecraftian gaming? I can guess at a few answers, but I’d like to hear what you felt was the problem. And here’s another Ask Ken and Robin; this one seems more geared to Robin, but I’m sure both of you have ideas on this. 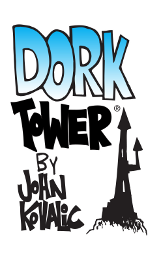 The August 14 episode of Judge John Hodgman, the judge is called upon to adjudicate a dispute between two members of a long-standing Dresden Files campaign. Dan feels that the game gets bogged down in investigation and interrogation and has been playing a more impulsive, combat-ready character who keeps getting into fights; the other players are somewhat annoyed by his style. 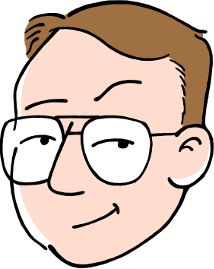 Besides the obvious comment (“These guys all need to read Robin’s Laws to find tips how to make sure all the players are getting what they want”), Hodgman made a comment I found interesting: Paraphrasing, “When your characters are interrogating and investigating, everyone can act at the same time, because everyone can contribute to a dialog. But when you go into combat mode, everything is your turn-my turn-his turn, one at a time, which can bog down.” And I realized that I couldn’t think of any game in which combat was done as a group action. Is there such a game? Assuming you’re playing out combat as a (vaguely) simulation-y mini-game, does it even make sense to have combat be as free-flowing as a dialog? Do you mean that John Hodgman plugged Robin’s Laws, or that he should have plugged it? I could have been much clearer: He arrived at a Robin’s Laws-like conclusion but indicated no direct knowledge of your work. So were there any disturbances in the video that might indicate the actions of unfilmable mi-go? I made an attempt similar to the campaign idea Ken outlined: a space opera setting in which all the planets were, essentially, different roleplaying game worlds (with the serial numbers filed off). There was a cyberpunkish planet, a steampunkery world, a world with superheroes, a swashbuckler planet and another with a sword-and-sorcery-ish society. It worked surprisingly well — for one thing, pigeonholing the worlds that way made it easy to run a “sandbox” style campaign. When the players go to a given genre-world, I just throw a bog-standard genre adventure at them, and since they’re jumping between genres it feels fresh and different. The campaign was pretty successful, and I think the idea’s worth repeating. One of the many, many strengths of your show is that references are made to interesting works of fiction that reward the reader. I had heard of the comic “Planetary” before, but hadn’t read it. I can now recommend it to others, but with a warning that Warren Ellis will occasionally let his political proclivities interfere with the narrative flow. I am speaking specifically of his truly horrible Thatcher bashing and assigning of moral equivalence between the United States and the Soviet Union. Fortunately, these are occasional, and although distracting, are not deadly to the work. I would ask Ken what methods he used to avoid refracting while reading those parts.